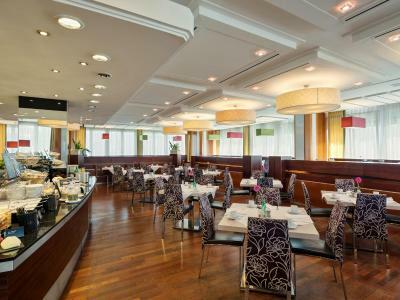 Lock in a great price for Austria Trend Hotel Europa Graz Hauptbahnhof – rated 8.5 by recent guests! Everything, lovely place to stay.Lovely +cool with airconditing. 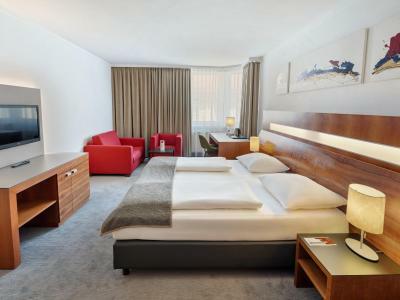 Nice rooms, very clean. Great breakfast although I think it’s a bit overpriced. Great location, just across the street from the railway station. Public transportation is just 2 minutes walking from the hotel. We had ordered suite and it was of a good size, with big sofa for a kid and teamaking facilities, internet was very good. Hotel is next to train station, but it was not noisy as we had windows to the back from street. 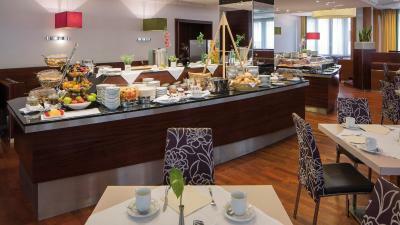 There is food shop next to hotel and cafe with niced choice for breakfast. 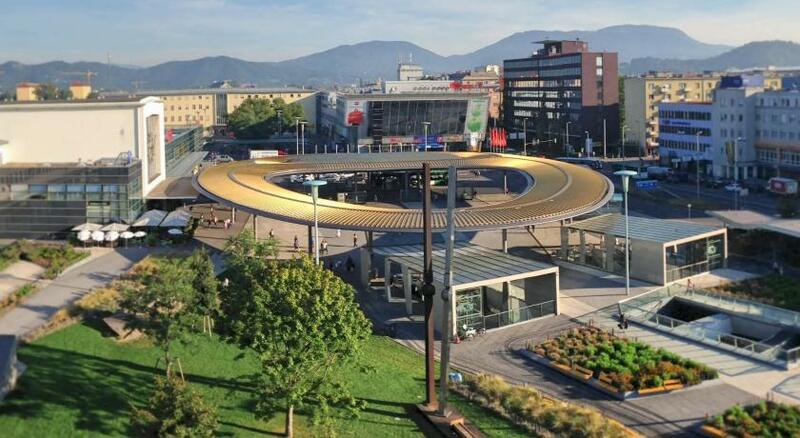 Location: Near Graz Hauptbahnhof (main train station). 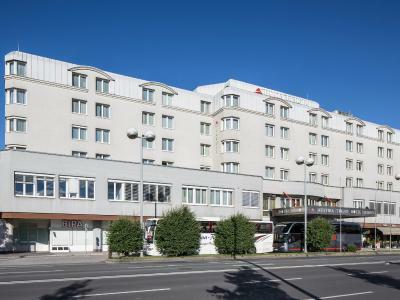 Walking distance from the city center and the main sights. Room: The rooms are spacious, clean, and silent (despite being near the train station, you can't hear a thing). 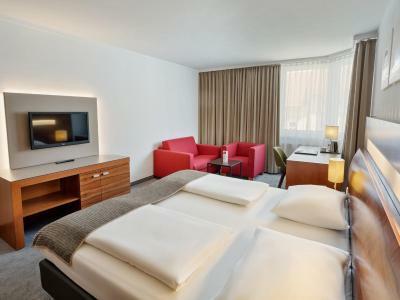 It has minibar, TV, armchairs, lots of surfaces to put your things on, a wardrobe, and a safe. Lamps are more than enough so room is bright. Bathroom: Clean, spacious, has a large bathtub, lots of surfaces, and it features a hairdryer and a make-up mirror. Staff: Helpful and nice. Parking: For a fee, you can park your car in a garage below the hotel and take the elevator directly from there to your floor. 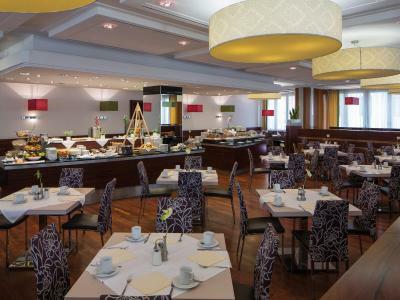 We didn't have breakfast in the hotel because we wanted to discover the local places. 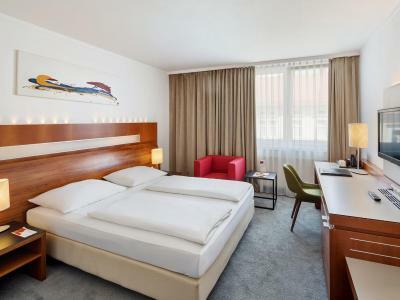 This was my second visit to this hotel, I loved my stay so much the last time that I had to stay here again when in Graz and I'm happy that I did. Nice, clean room. Breakfast - good options for vegans, including warm or cold soy drink. The room was of a good size with a nice decor, with moss green carpet and woodwork in warm wood tones. It had a fridge and electric kettle, plus an assortment of coffee and tea. Staff was very friendly, even suggesting that I borrow an umbrella or use a tram to return from the old town. 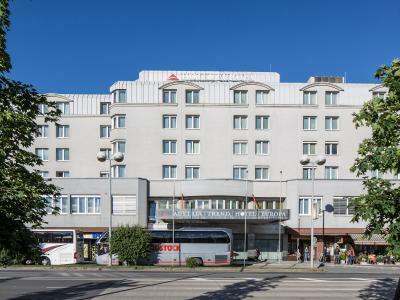 The hotel was a convenient walk to the old town, and very close to the main rail station. Once again a great stay at the hotel! Very friendly and helpful staff! Good breakfast! I booked a standard single room, but was given a suite with a bath upon arrival - a very nice surprise. 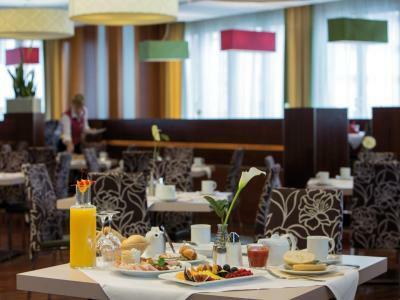 Great breakfast, if a little limited in choice, very pleasant location about 10-minute-walk or one tram stop from Karlsplatz. 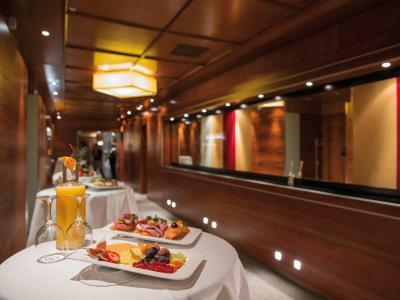 Rooms are quite big and bed is comfy, mini-bar is priced well. Bathroom amenities are also good, nothing to really complain about for an overnight stay on a business trip. 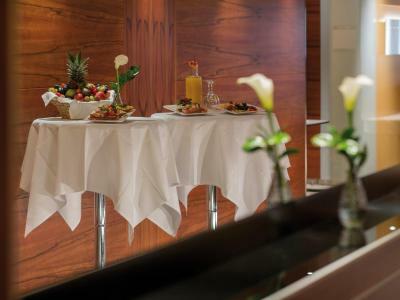 Breakfast was also good, especially the smoothies were great start of the day before the coffee! In general everything is fine and especially Croissant is great for me. 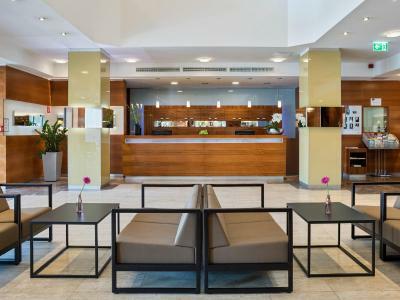 Austria Trend Hotel Europa Graz Hauptbahnhof This rating is a reflection of how the property compares to the industry standard when it comes to price, facilities and services available. It's based on a self-evaluation by the property. Use this rating to help choose your stay! 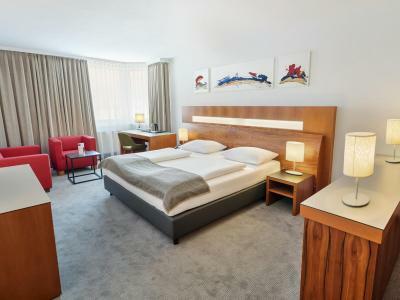 Located directly opposite of Graz Main Train Station, Austria Trend Hotel Europa offers modern and air-conditioned rooms. The Old Town of Graz and sights such as the Mur Island or the Kunsthaus Graz can be easily reached by tram or within a 20-minute walk. Free WiFi is available in all areas. 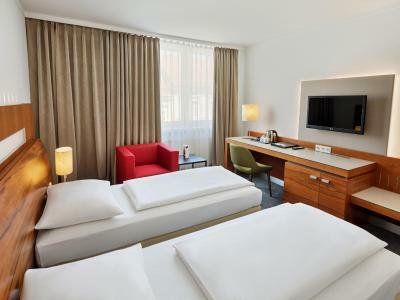 The spacious rooms are newly renovated and offer cable TV, a mini-bar, a hairdryer, and soundproof windows. 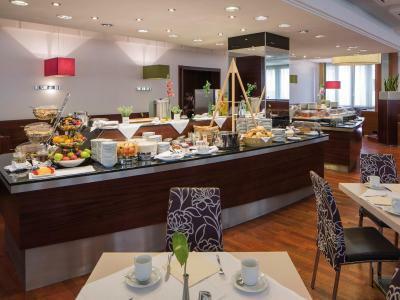 Austria Trend Hotel Europa Graz furthermore features a sauna, and a rich breakfast buffet is served in the morning. A public parking garage is directly connected to Hotel Europa. A public transport stop is right next to the hotel. Eggenberg Palace is a 10-minute drive away. Lend is a great choice for travelers interested in walking, shopping and culture. 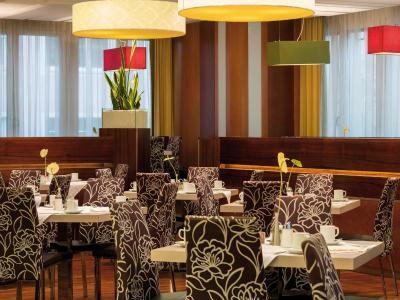 When would you like to stay at Austria Trend Hotel Europa Graz Hauptbahnhof? Modern room facing the main train station. Quiet room at back of the hotel, with VIP amenities (exclusive toiletries for the duration of your stay). Quiet room at back of the hotel. 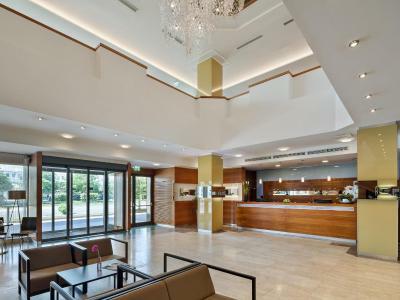 It features a sofa, a welcome drink and VIP amenities (exclusive toiletries, chocolate, slippers and a bathrobe for the duration of your stay). Graz's old town escaped serious damage in World War II, preserving this treasure trove of a city center – one of the most well-preserved in Central Europe. 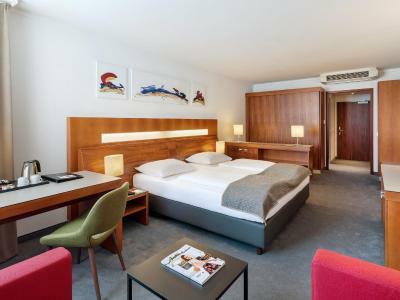 House Rules Austria Trend Hotel Europa Graz Hauptbahnhof takes special requests – add in the next step! 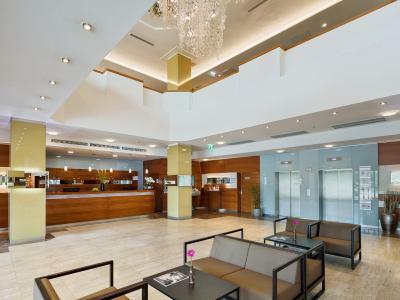 Austria Trend Hotel Europa Graz Hauptbahnhof accepts these cards and reserves the right to temporarily hold an amount prior to arrival. 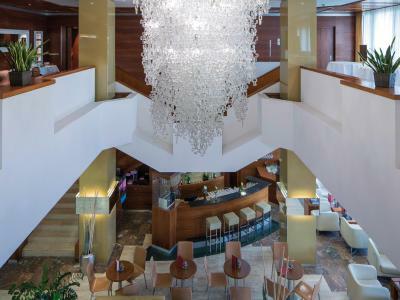 Please note that Austria Trend Hotel Europa Graz has installed a brand-new Wi-Fi connection. Previous issues with Apple devices have now been resolved. One of the most picturesque neighborhoods in Graz! A lack of electrical sockets in the room - none bedside. 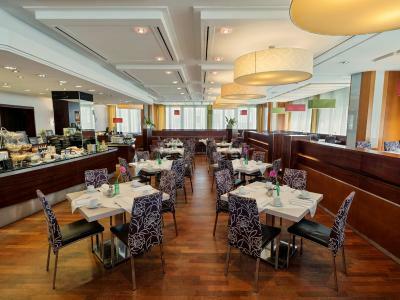 Great location, friendly staff, really nice rooms (as per the photos). Great customer service! On the first day of arrival Sunday evening i had few questions to ask. Behind the desk was young lady who helped me with a big smile on her face. She was very friendly and helpful. Her attention to people entering hotel was just great. She made an eye contact with a smile making me feel like home. Unfortunately i didnt ask her what was her name, but i hope she would read that. Thanks a lot for all your help! With regards to the hotel and bedroom itself it was just first class. Bedroom very clean spacious room and a bathroom. Plenty of space for your clothes luggage ect. I really enjoyed my stay! 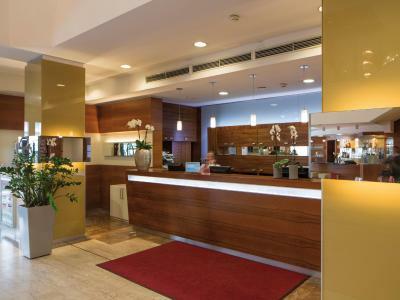 I could recommend this hotel to everyone who would like to visit Graz! Lovely hotel just in front of tram station. 10/10 Konrad. The breakfast was amazing. The staff was very frienrly and we really appreciated their work during Christmas. The rooms are cozy. Everything went as expected. a bit dry air inside the room. nothing else. breakfast ok, location ok, silent room, bathroom with tube ok. The tv doesn’t work and when they came to try to fix it he said there is nothing he can do. He was rude as well! 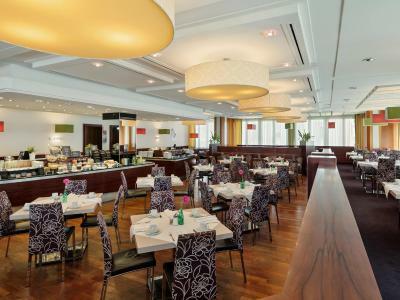 There is no restaurant and no room service! The towels were dirty as well! Overall I would definitely not recommend this hotel. Pillows are too soft. They could add few more pillows.